Drag Multi-Layout Portfolio widget to an area of the page where you'd like to add it to. 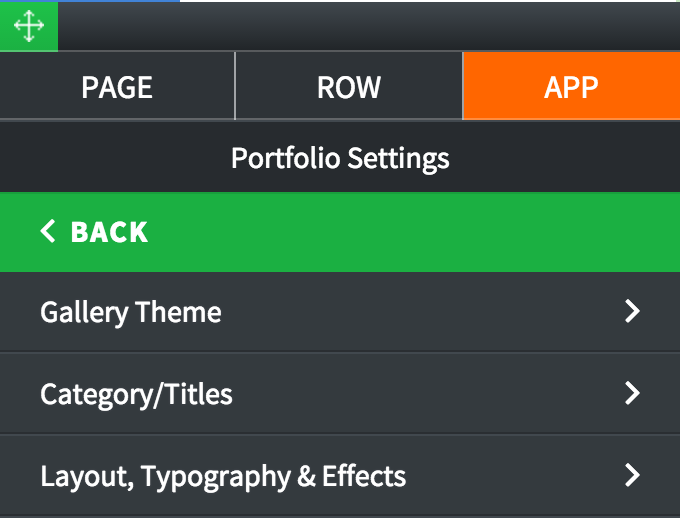 Double-click on Multi-Layout Portfolio or highlight it and go to Settings pane > APP. Select Gallery: If any galleries for multi-layout portfolio have been previously created, select one from the dropdown list. Manage Portfolio Gallery: Click to create a new gallery, or manage existing ones. Portfolio Name: Enter name for the new portfolio gallery. SAVE: Click to save the new gallery. Add Image: Click to add images to the gallery. Add Video: Click to add videos to the gallery. Media List: Click to view/rearrange added images and videos. Once you create a portfolio gallery, you can choose portfolio settings in the Settings Pane. Portfolio Settings: Click to manage portfolio settings, such as gallery theme, category/title, layout, typography, and effects. Gallery Theme: Choose a theme for the gallery portfolio. 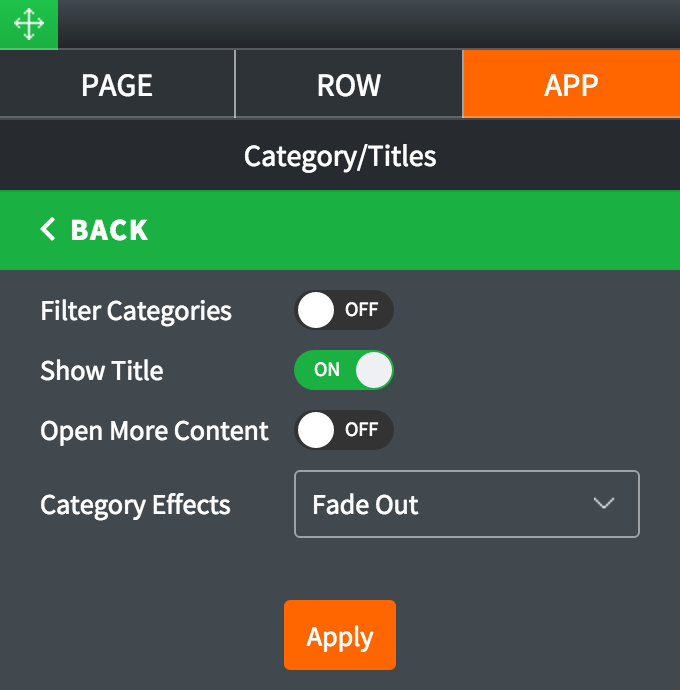 Filter Categories: Toggle ON to filter gallery categories. Show Title: Toggle ON to show image titles. Open More Content: Toggle ON to open more content on a click. Category Effect: Select a category effect from the dropdown list. Horizontal Spacing: Set horizontal spacing between images. Vertical Spacing: Set vertical spacing between images. Open in Lightbox: Toggle ON to open images in lightbox on click. Single Pane Inline: Select position for the single pane inline. 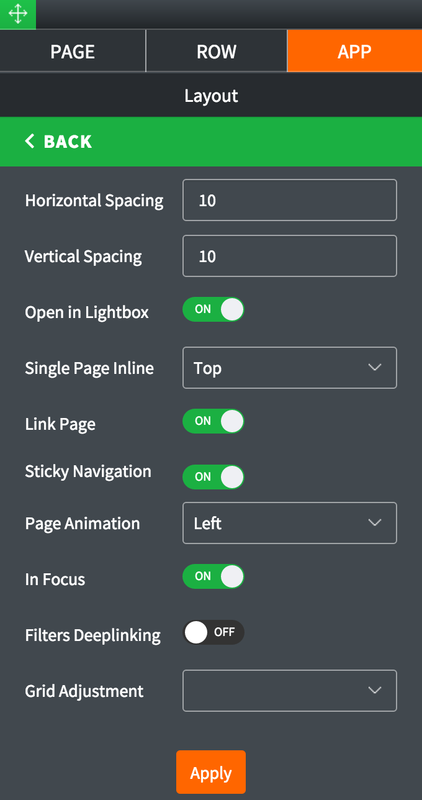 Link Page: Toggle ON to include a link. Sticky Navigation: Toggle ON to enable sticky navigation. 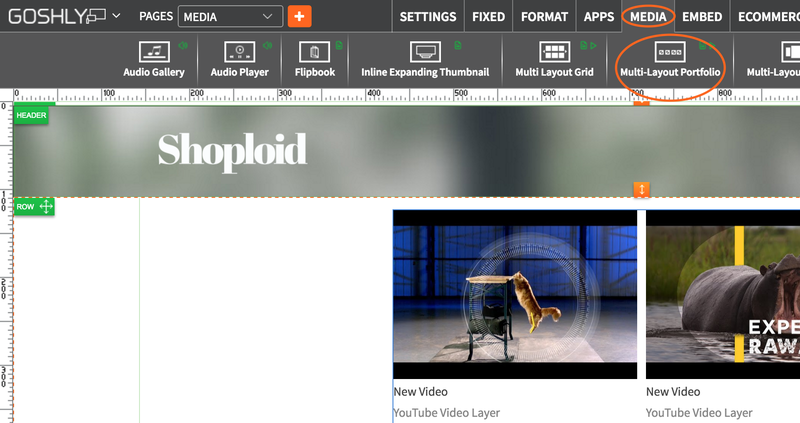 Page Animation: Select animation type for when a mouse hovers over an image. Grid Adjustment: Select grid adjustment type from the dropdown list. Background Color: Choose background color. 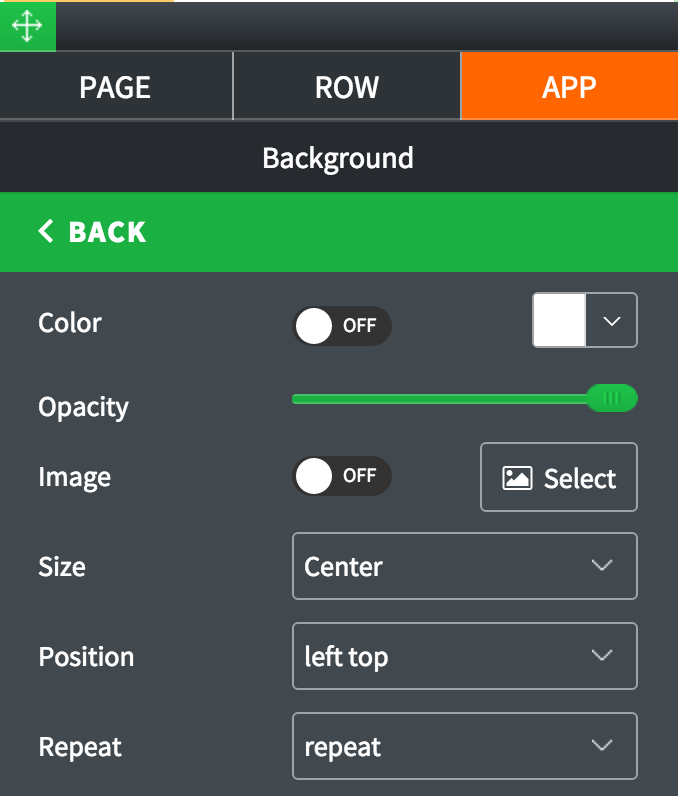 Bg Transparent: Toggle ON to make background transparent. Hover Transparent: Toggle ON to make hover effect transparent. 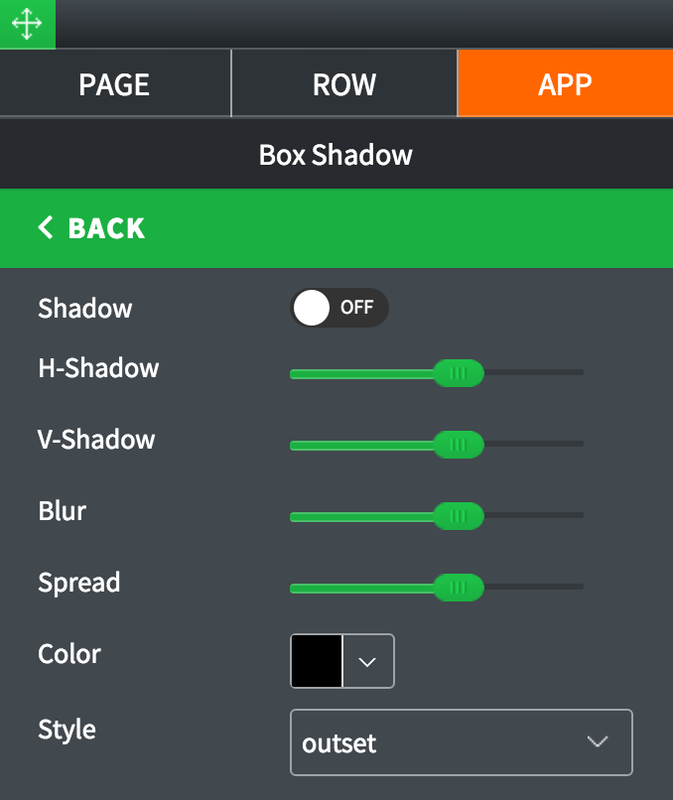 Hover Color: Choose color for the hover effect. Border Color: Set color for the border. Caption Effect: Select an effect for captions from the dropdown list. Loading Effect: Select an effect for loading from the dropdown list. Display Speed (ms): Set display speed in milliseconds. Text Transform: Select formatting for text transform. Rollover Color: Set color for rollover. Main Title Color: Set color for main title. Show Info Button: Toggle ON to show info button. Info Button Label: Enter info button label. Show View Button: Toggle ON to show view button. View Button Label: Enter view button label. Font Family: Select font family from the dropdown list. Button Text Color: Set color for the button text. Button Height: Set button height with a slider. Button Font Size: Set button font size with a slider. Button Width: Set button width with a slider. 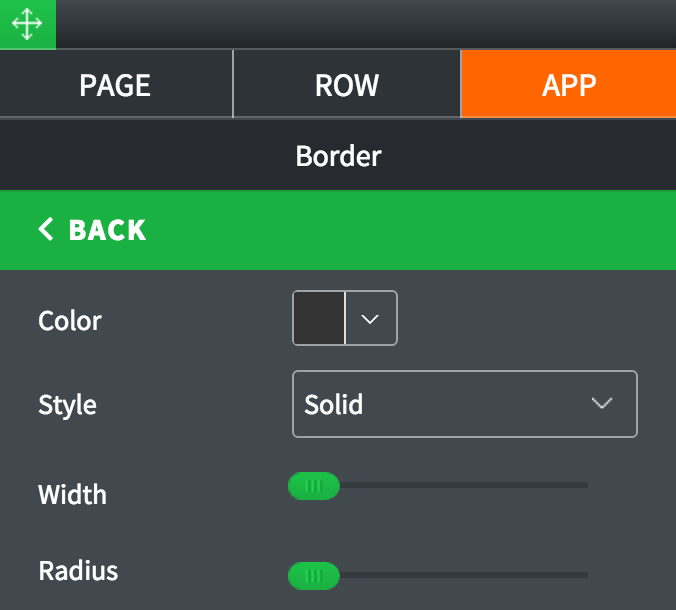 Button Border: Set button border with a slider. Font Style: Select font style from the dropdown list. 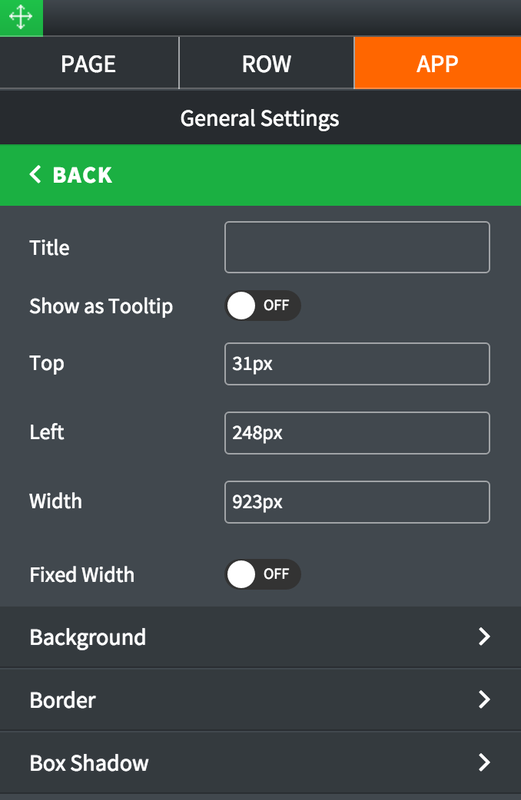 Font Weight: Select font weight from the dropdown list. Main Title Font: Select main title font from the dropdown list. Sub Title Font: Select sub-title font form the dropdown list. Main Title Size: Set main title size with a slider. 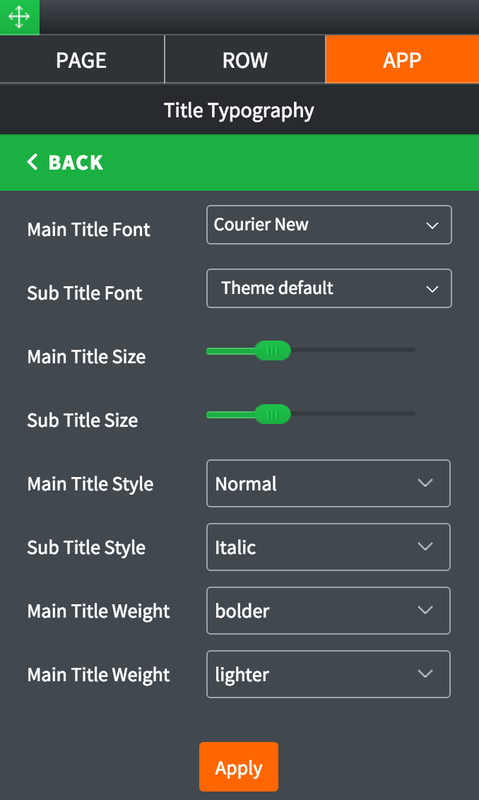 Sub Title Size: Set sub-title size with a slider. Main Title Style: Select main title style from the dropdown list. Sub Title Style: Select sub-title style from the dropdown list. Main Title Weight: Select main title weight from the dropdown list. Sub Title Weight: Select sub-title weight from the dropdown list. Show as Tooltip: Show the title as tooltip (text that appears when your mouse hovers over the gallery portfolio). 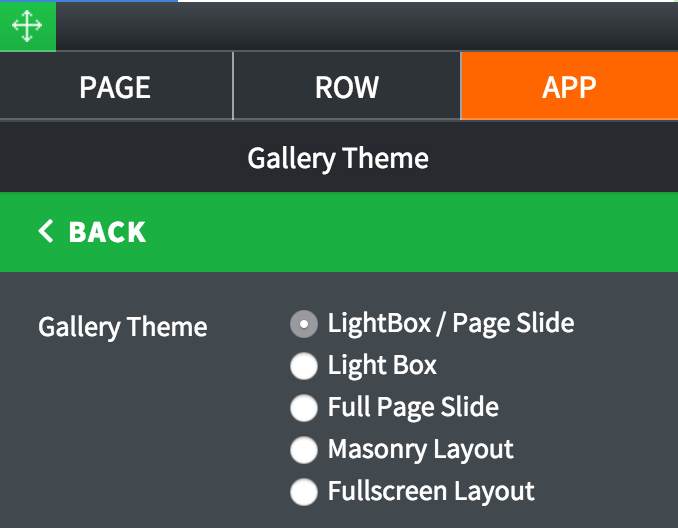 Fixed Width: Toggle ON to fix gallery portfolio's width.